As obscure Science-Fiction movies go ‘The Philadelphia Experiment’ is right up there, but this little 1984 release has more than a few redeeming qualities. Based upon the modern myth of the Philadelphia Experiment (alleged tests in the 1940s by the U.S. Government to create invisibility fields to hide ships and tanks) the story centres on two sailors David Herdeg (played by B-movie star Michael Paré) and Jim Parker (perennial whats-his-name actor Bobby Di Cicco) who survive the horrific results of an accident during one of the invisibility experiments onboard a warship in 1943 that hurls them forward in time to 1984 and the Nevada Desert. From there, with the aid of a young woman called Allison Hayes (played by 1980s Middle America totty Nancy Allen, who went on to co-star in 1987’s ‘Robocop’), the duo make their way across the country trying to discover some clue about what happened to them and get in contact with the authorities. There is some derring-do, a blossoming love-story, and a ‘clever’ time-twisting note at the end and that is pretty much it. 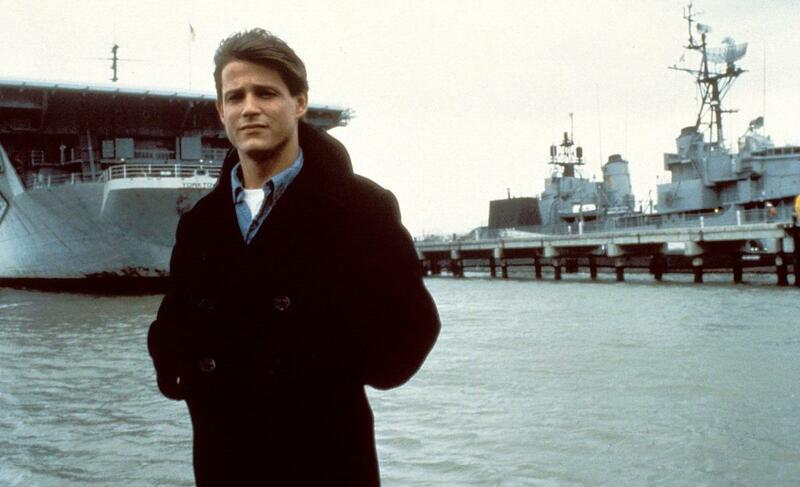 Performing poorly upon release, ‘The Philadelphia Experiment’ was followed up several years later by a much poorer sequel, the imaginatively named ‘Philadelphia Experiment II’ (1993), and neither have aged particularly well. The storyline of the original is very 1980s, as is the dialogue and acting, and the special effects generally look pretty cheesy. Yet it has a certain television movie watchability that makes it easy, undemanding viewing, not to be taken too seriously. Available on DVD in several extras-free editions the film is worth a look for even the most casual Science-Fiction fan. For fiction inspired by the original urban legends of the ‘Philadelphia Experiment’ the hard to get Sci-Fi thriller ‘Thin Air’ (1978) by George E. Simpson and Neal R. Burger remains one of the best and is highly recommended. A bit (pleasantly) surprised to find this one on your list; I vividly remember watching it as a child and thinking, “This really happened!” Imagine my surprise when I could not find a shred of evidence to support the events depicted in the film. (Did I mention I was a child?) Still and all though, awful as it was, the image of those sailors embedded in the deck of the ship stuck with me. Not so bad for it’s time.